I love eating eggs for breakfast (and for dinner!) but I’d rather get an extra 20 minutes of sleep in the morning before work than get up to make myself an omelet or scrambled eggs. 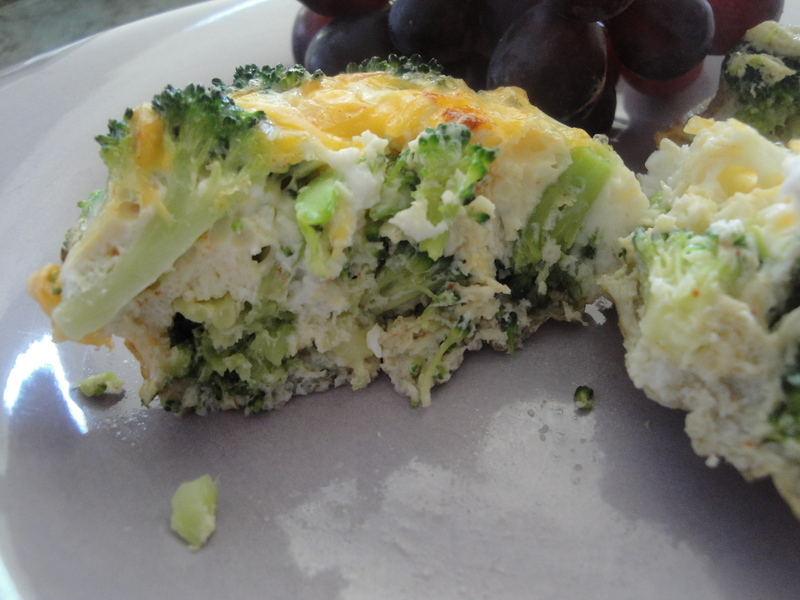 I often make eggs for myself on weekend mornings and add veggies and different spices. I’ve never attempted to bake eggs in a muffin tin but I think it’s great if you have company over because you aren’t stuck standing over the stove while trying to have a conversation. Not to mention it’s great portion control! 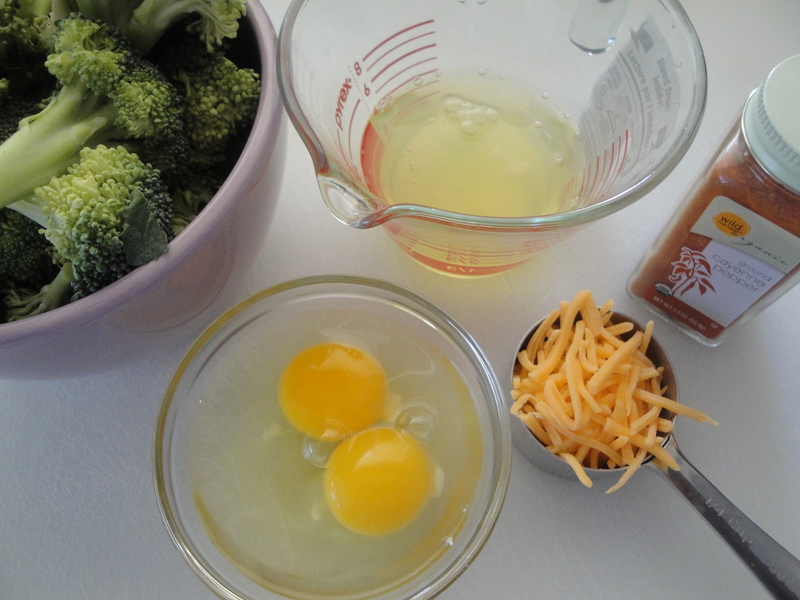 I found these Broccoli and Cheese Mini Egg Omelets on a food website dedicated to healthy eating and since I bought a HUGE bag of broccoli at the produce market this weekend, I figured this was a perfect recipe to try out. 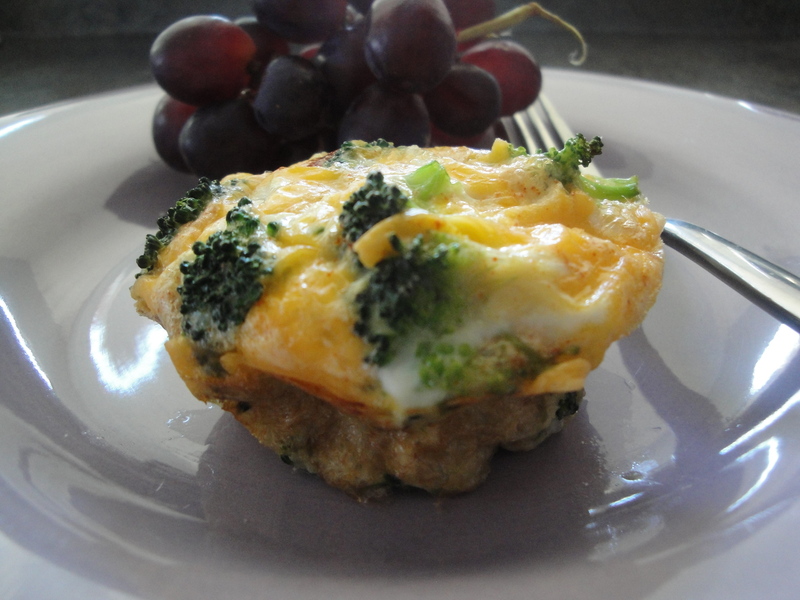 Eggs and egg whites are mixed with cheese and poured into muffin tins over steamed broccoli. This recipe uses two kinds of cheeses, cheddar and pecorino romano, but any cheese here would do (I only used cheddar). This is also such a versatile recipe because you could add in sausage or ham, replace broccoli with tomatoes or spinach, and also toss in herbs like basil or parsley. I threw in some cayenne pepper because I love a little spice with my eggs. Baking eggs might take a little longer than a quick scramble but by making them this way, you can sit back and enjoy your coffee while the oven does the work for you. 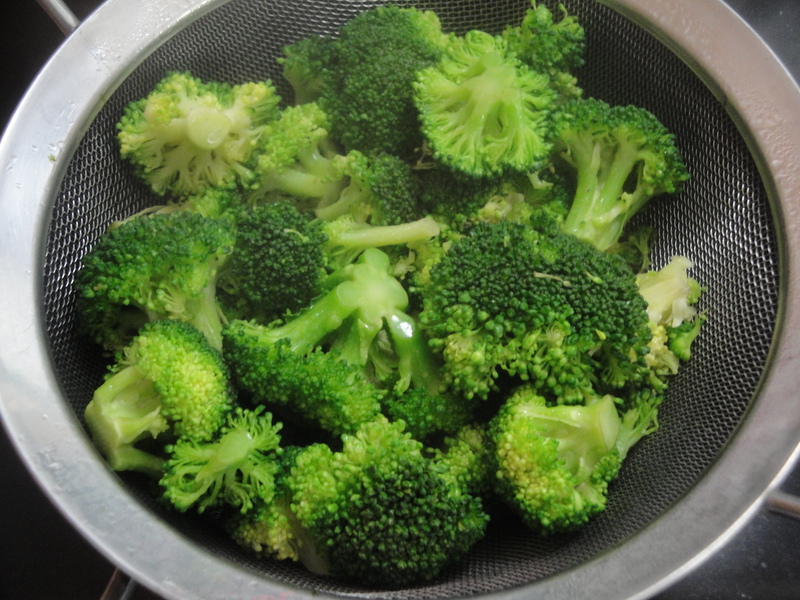 Steam the broccoli, either on the stove or in the microwave. 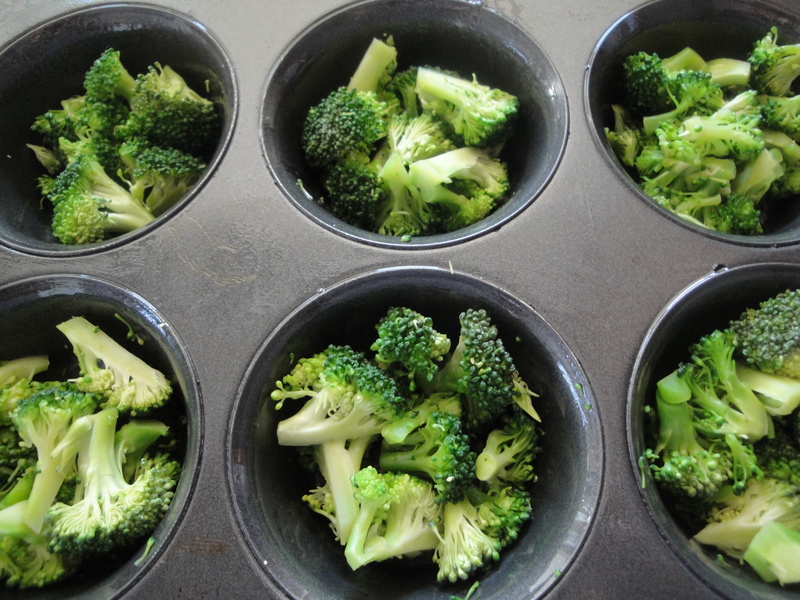 Chop the broccoli and place in a muffin tin sprayed with non-stick spray. 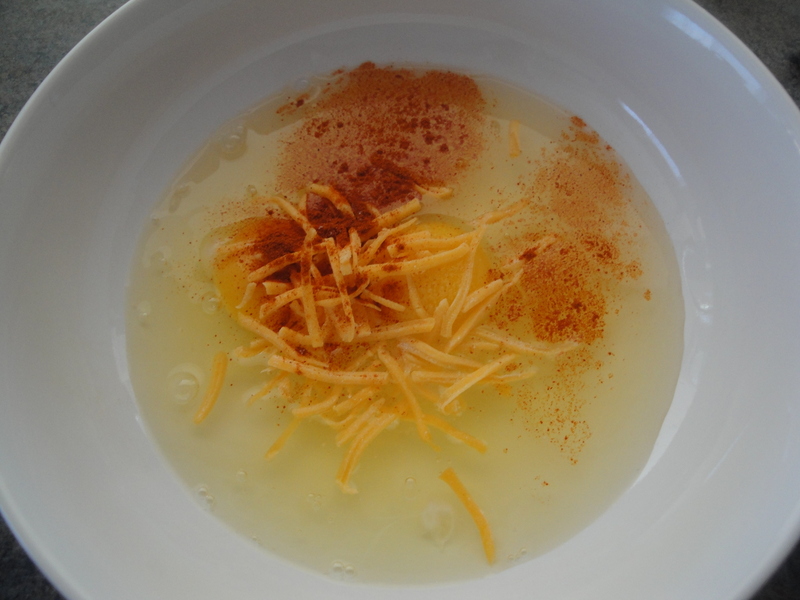 In a bowl, whisk together the eggs, egg whites, grated cheese, salt and pepper. 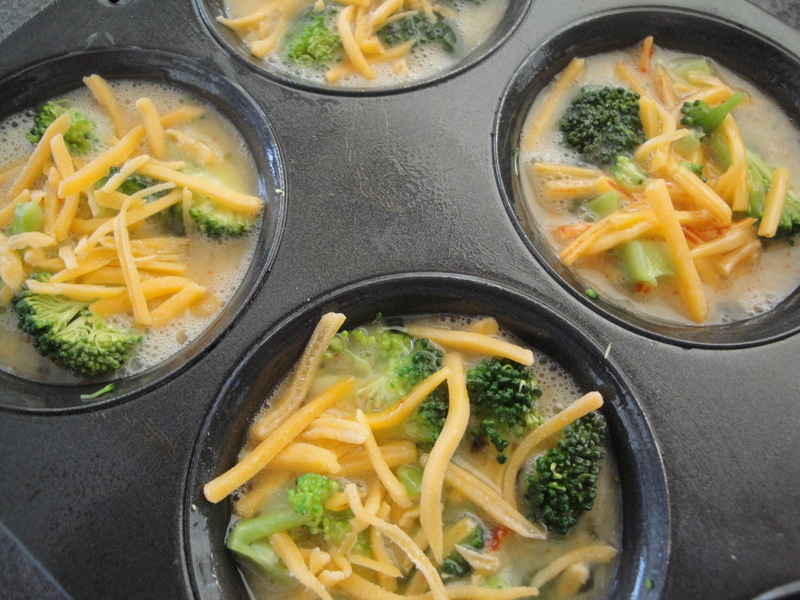 Pour the egg mixture into the muffin tin over the broccoli. Top with cheddar cheese. This is such a cool idea. It’s one of those things you go “wow, I can’t believe I’ve never thought of this” 🙂 And you’re right – so many possibilities with variations.